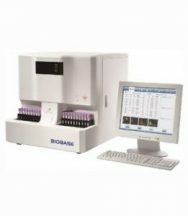 Detail Produk "BK-AA320N Atomic Absorption Spectrophotometer Biobase"
* Build-in computer data processing and LCD display. * Stability: Double-beam system can automatically compensate the light source drift and wavelength drift caused by the variation of temperature and electronic circuit drift. 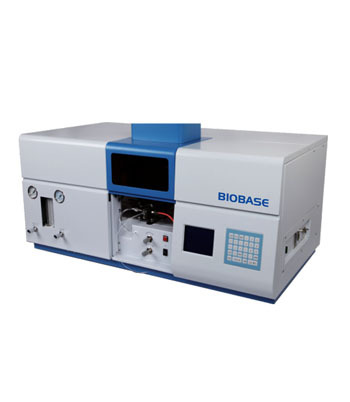 * Quickly: The cathode lamp needs not be pre-heated for long time and sample can be analyzed immediately. * High precision of measurement: Gas path system is equipped with precision pressure stabilizing and current stabilizing devices to reach stable flame and low noise. 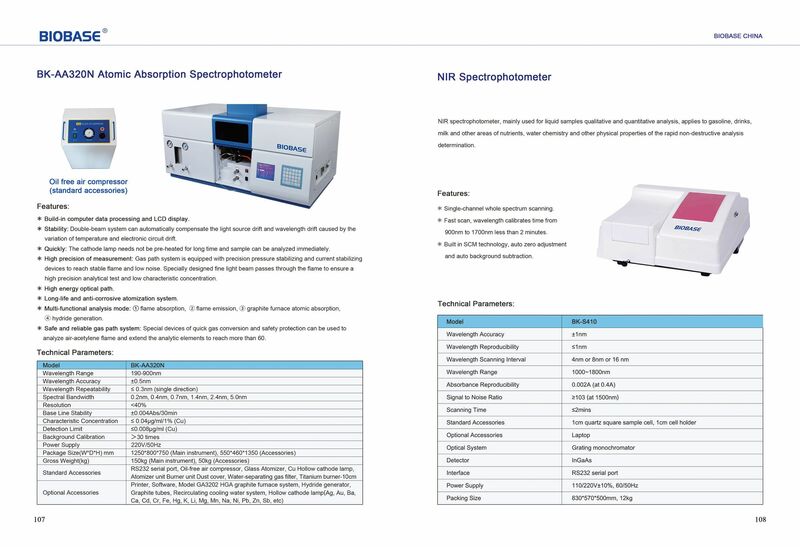 Specially designed fine light beam passes through the flame to ensure a high precision analytical test and low characteristic concentration. * High energy optical path. * Long-life and anti-corrosive atomization system. * Multi-functional analysis mode: ?flame absorption?flame emission? 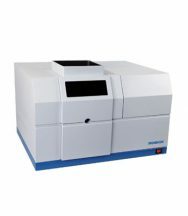 graphite furnace atomic absorption ④ hydride generation. * Safe and reliable gas path system: Special devices of quick gas conversion and safety protection can be used to analyze air-acetylene flame as well as nitrous oxide-acetylene flame and extend the analytic elements to reach more than 60.